There have been bumps in the road. The partnership broke up in acrimony in 2002. “It was very hurtful, I’m not going to lie. I think we were both exhausted and maybe taking each other for granted.” Guy went on to work with a huge range of artists, including Kylie Minogue, James Blunt, Melanie C, Katie Melua, Caro Emerald, Rufus Wainwright, Katy B, Mark Ronson and John Newman. In 2013, Robbie and Guy resumed writing together for Swings Both Ways. Guy was musical director on 2015’s Let Me Entertain You tour and co-writer and producer for Robbie’s 2016 pop comeback, The Heavy Entertainment Show. 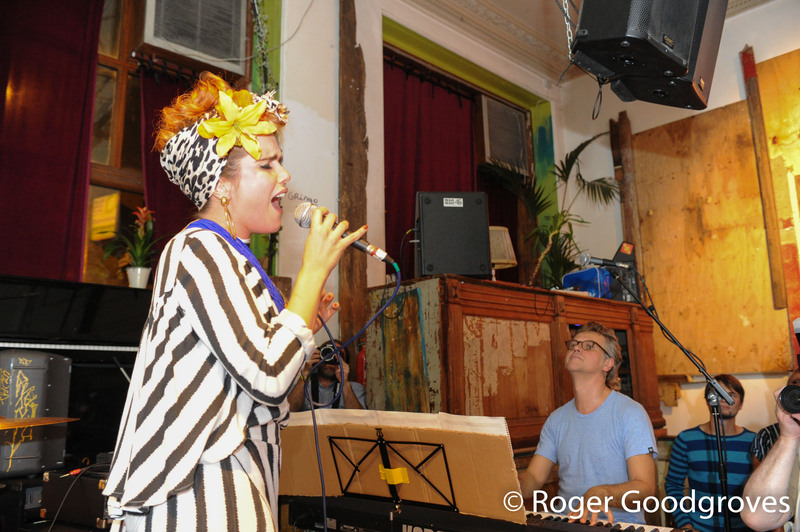 Guy can be seen in the above photo appearing with Paloma Faith in 2011 at his own club in East London.